The majority of portable hard drives are pretty much of a muchness, if we are being honest, but not so with the LaCie Rikiki Go USB External Hard Disks. Yes, you may sit for hours sifting through pages and pages of options on the internet, or you may even be old fashioned about it and head down to your local electronics store, but ultimately in terms of functionality they are all quite similar, bar a couple of variants, such as USB or Firewire. Although we recently saw, you do sometimes have the innovative products such as the LaCie rugged biometric fingerprint security external hard disk. When it comes down to it, you really get what you pay for and any significant improvement over the last one you checked will probably jack up the price. So, how do you change your product enough to make it stand out from the crowd? How do you make what is just another portable USB external hard drive leap out from the shelves? Well, traditionally LaCie has been one manufacturer who has succeeded in just this, just look at their recent LaCie Xtremkey rugged, but stylish USB flash drive, so I seek no forgiveness for being a little too intrigued, perhaps, at their latest product; the Rikiki Go. The LaCie Rikiki Go is at the end of the day still a traditional portable hard drive, however, with a maximum capacity of 1TB and ultra-compact and elegant aluminium design, it really takes the industry up a notch. The integrated USB cable goes a long way to keeping the design sleek with no unsightly ports dotted about the casing. 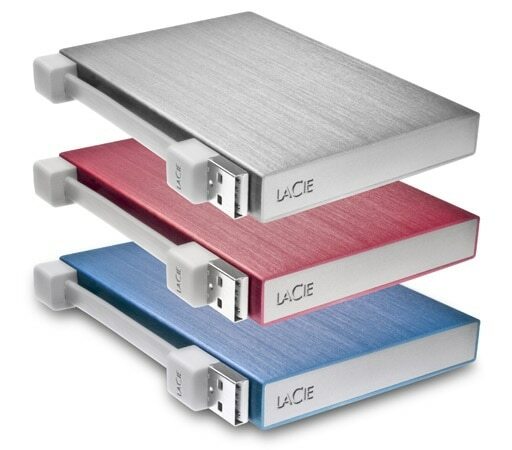 This pretty much sets the tone really, as LaCie has done extraordinarily well in the aesthetics department with this latest offering, and just for good measure, the drives are available in blue, red and silver. 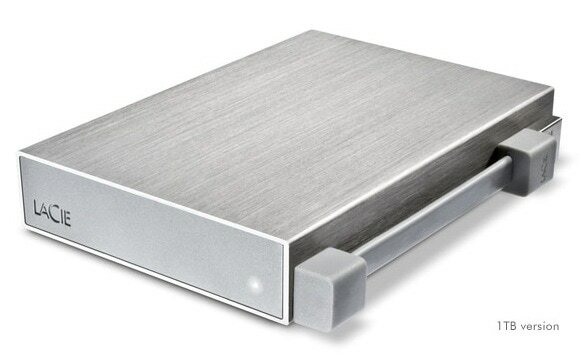 Another neat incentive to choose this drive over the next, if you need any more that is, is the inclusion of 10GB secure online storage with their recently unveiled ‘Wuala’ service, taking spare storage capacity from other LaCie owners’ drives. The Rikiki Go also comes with a complete, yet simple, software suite making it easy for you to back up your data onto your computer as well as simply configuring your drive for use. For Windows users, the software also includes USB boost, improving read and write speeds for your LaCie drive, thought the drives are still perfectly compatible with Mac OS X, so don’t fret Apple fans. It would be fair to say I agree with this statement too, the LaCie Rikiki Go external USB hard drive is certainly offered at a reasonable price, comparable with other manufacturers arguably inferior products. The 1TB option will set you back £149.90, but is only available in silver, but if you are willing to opt for the 500GB option, priced at £89.90, you can either stick with the silver or alternatively go for red or blue.